Wild Review. How did the movie compare? The book was a deeply emotional and rather dark tale, where a lot of that is missed in the book. Otherwise, it’s pretty accurate. The alley scene wasn’t in the book, there were a lot fewer toenails lost in the movie, and I think the amount of pain and frustration Cheryl went through with her boats and her heavy pack are lost a bit on the screen. A bunch of the encounters with people she meets on the trail are also cut short or are altogether missing. Overall, the movie felt like an accurate summary of the book. 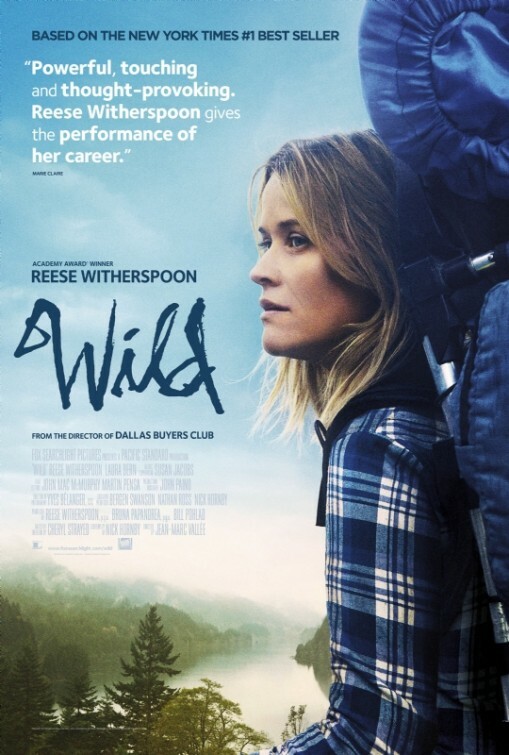 Reese Witherspoon as Cheryl was brilliant. She played the part so well and she even kind of looks like Cheryl. Paul, her ex-husband, was also well-played, and all the people she meets along the trail. Especially the two guys toward the end who she runs into and is a bit frightened of—they came across nice and creepy like they did in the book. Both are more of an emotional journey than a plot-driven one, as she changes and grows while she hikes. I wasn’t sure going into the book if it was going to get boring at times—I mean, how interesting can a book about a woman hiking be? Well, just like in the book, there are plenty of flashbacks to give you insight to her mind, plenty of encounters with people and animals on the trail, and other terrifying situations like running out of water and trying to cross icy sections. The movie was paced well and I never felt bored watching it. It made me feel, so I like it. I had forgotten how heart-breaking of a story hers is, but also how much it’s a story of growth, of loss and love, and of learning to move on. It’s a story of being set free. Everything I felt reading the book came through in the movie, so that makes it a winner for me. Really a very good movie. Did you see the movie or read the book? What did you think?